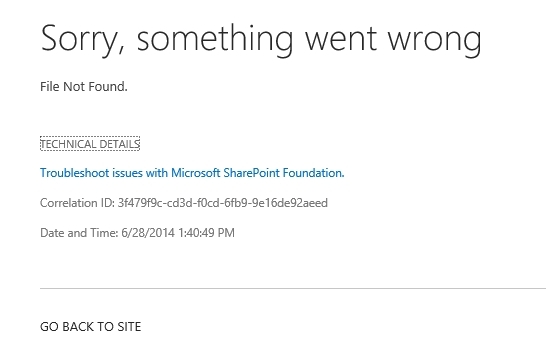 If you have a SharePoint 2013 farm configured to support Business Intelligence and you get the following error message when you try to access a PowerPivot Gallery, most likely is because you recovered / rebuild your farm, or you have added an additional front-end server. “System.IO.FileNotFoundException: The file /_controltemplates/15/PowerPivot/ReportGalleryView.ascx does not exist. The fix is to deploy again powerpivotfarm14solution.wsp, powerpivotfarmsolution.wsp, powerpivotwebapplicationsolution.wsp. Installing PowerPivot for SharePoint is not enough. You must redeploy these WSPs anytime you add a new front-end server to your farm. cd "C:\Program Files\Microsoft SQL Server\110\Tools\PowerPivotTools\SPAddinConfiguration\Resources\"
Don’t worry if the lines 4, 5, 6 are throwing exceptions during execution – most likely is because you already have the PowerPivot WSPs added to your farm. The other commands will take care of your problem. Please adjust the paths according with your installation (in the above section code I use the default installation path). Previous PostWindows System Resource Manager and Windows Server 2012 R2Next PostHow complicated was to land the Curiosity rover on Mars?